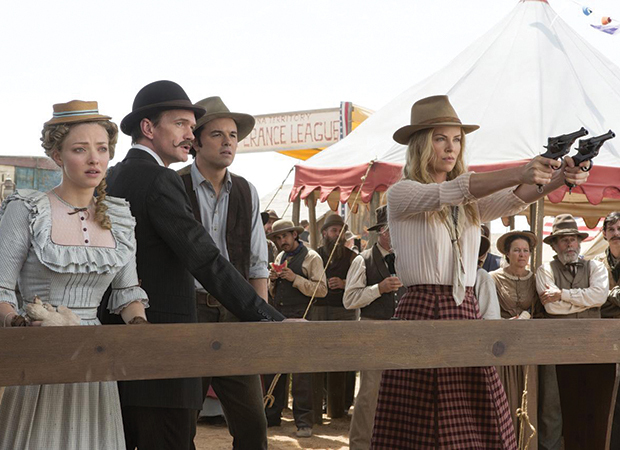 Seth MacFarlane (TED, Family Guy) directs, produces, co-writes and plays the role of the cowardly sheep farmer Albert in A Million Ways To Die In The West. After Albert backs out of a gunfight, his fickle girlfriend leaves him for another man. When a mysterious and beautiful woman rides into town, she helps him find his courage and they begin to fall in love. But when her husband, a notorious outlaw, arrives seeking revenge, the farmer must put his newfound courage to the test. Subscribe to X-Press Shout-Out, and email: win@xpressmag.com.au to grab a double pass. Remember to include your address.